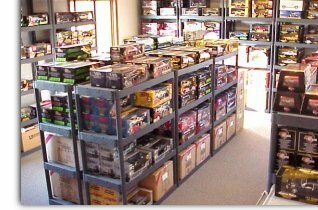 Starting business in March of 1999 Todd Miller, owner of DiecastMucleCars.com has created one of the most popular Diecast Dealer sites on the internet. Known for fair prices and excellent service DMC offers a wide range of products that include, 1:18 Scale Muscle Cars and Classic Cars from Ertl, Lane/Exact Detail, GMP, Hwy 61, Sunstar, Maisto, Road Legends and Hot Wheels. DMC also stocks a full line of 1:18 accessories such as Gas Pumps, Tool Boxes, Replacement Wheels, Figurines, Trailers etc. . .
Current inventory is a little over 800 different models. DMC also sells T-Shirts, Sweat Shirts, Mouse Pads and Muscle Cars Calendars all of which include the DiecastMusclecars.Com logo. To help readers get to know Todd and DMC a little better I asked Todd to give us a little information about himself and where he sees the hobby of Die Cast Collectibles heading. Here is what Todd had to say! DCP: Can you tell our readers a little about you personally? Todd: Well, I was born in 1967, no kids, 1 miniature Dachshund named Noodle. I grew up racing BMX bikes now I'm Drag Racing & showing Muscle Cars. (Racing seems to be in my blood) I own a 1970 Buick GSX and a 1970 Buick GS Stage 1. I've loved Muscle Cars since I was in my teens. My uncle always had Muscle Cars. Mostly Chevy's. My mom also owned a 1972 Skylark although not as much of a Muscle Car as the Gran Sport it was enough to hook me on Buick's! I've since owned about 20 1970-72 Skylarks, Gran Sports & a couple Grand Nationals. I currently own a 1970 Buick GS Stage 1. Favorite TV Shows: Boston Legal and CSI. Music Choice: Good Ol Rock n Roll. I love Car Shows and Drag Racing events. I love all Muscle Cars but my devotion is definately with Buicks. I use to work at a cycle dealership (15 years) but my love was always with cars so when the opportunity came to "Build" DiecastMusclecars.Com I went for it and never looked back. I love talking to my customers about our love for cars. I guess that's what makes this business so neat. DCP: Were you a collector? 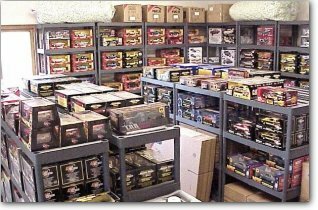 Todd: I was a Die Cast Collector long before I started DiecastMusclecars.Com so I took what made me happy as a collector and tried to incorporate that into my business. Things such as quality packaging, quality products, friendly phone service, fair prices and quick response time whether it be answering e-mails or just getting the product shipped to the customer in a timely fasion. I've also tried to keep the website simple and easy to navigate. DCP: Can you share your visions for the future of the hobby? Todd: Until Space ships take over I feel people will always love cars so I hope that the hobby stays strong and continues to grow. I also hope the Die Cast Company's continue to go the right direction or they could kill the hobby. I feel they should limit the amount of cars they produce each year and pay attention to what the collectors want. After all, the collectors are "paying there bills". DCP: One final question, What would you consider to be your personal favorite piece of Die Cast you own. Todd: Well since I'm so devoted to Buicks I'm going to have to say my 1970 GS Stage 1 Chase Car. They only made 156 of these so they're pretty rare. 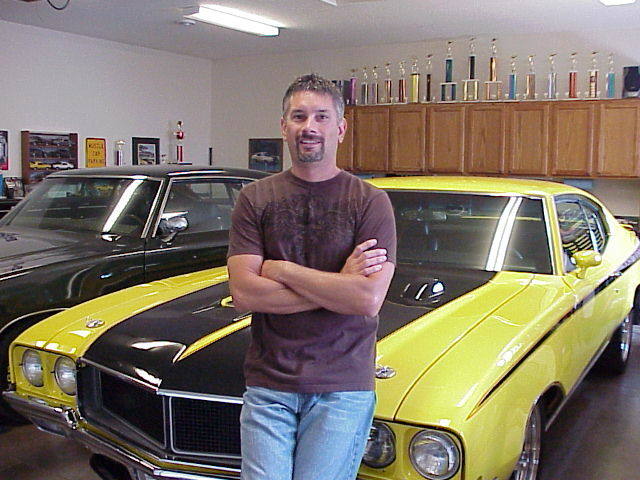 Todd, thanks for taking the time to give our readers a little history about Todd Miller and DiecastMuscleCars.com. The Die Cast Pub wishes you continued success.